Happy Mother and son walking on the ocean beach under Sunset in sunny day. Seascape view with palms. 4k00:16Happy mother and child walking on the ocean beach under sunset in sunny day. Seascape background. 4k00:16Mother and son walking on the ocean beach under Sunset in sunny day. Seascape view with palms. 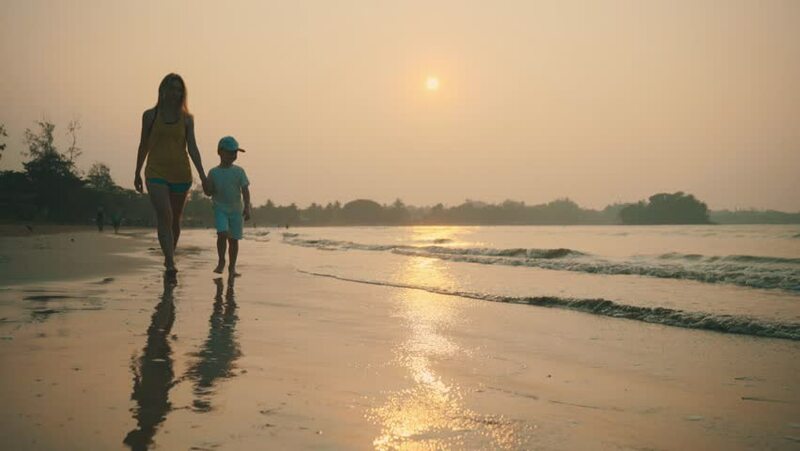 4k00:15Happy mother and child walking on the ocean beach under sunset in sunny day. Seascape background. hd00:15Mom and daughter on the beach, sunset. hd00:26The Silhouette of two men walking on the sunrise with Backpacks. Tourists take photos while traveling. Travel concept. 4k00:32Silly couple kiss and dance on sandy beach at sunset, enjoying time together. 4k00:08Father and son Soccer players in dynamic action funny play on the sand in football in grass, summer sunny day under sunlight. 4k00:19Father and son Soccer players in dynamic action funny play on the sand in football in grass, summer sunny day under sunlight.